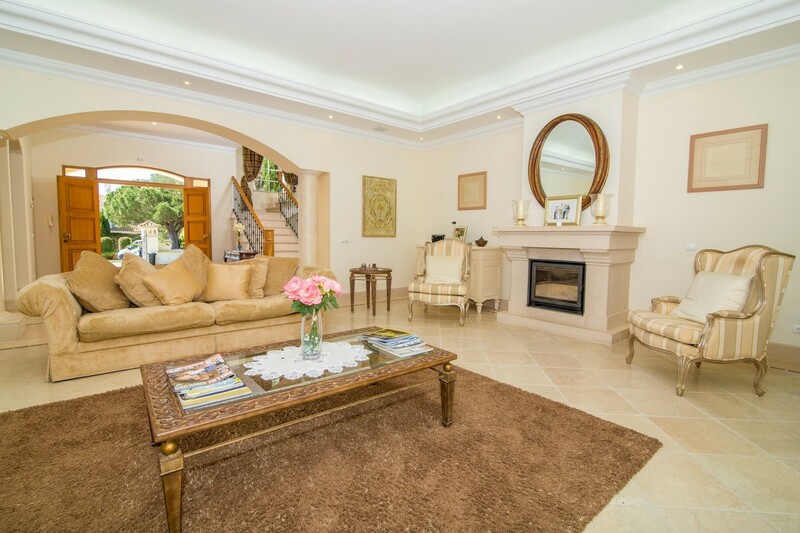 Located within the prestigious resort of Quinta do Lago in the Parque Atlantico area. 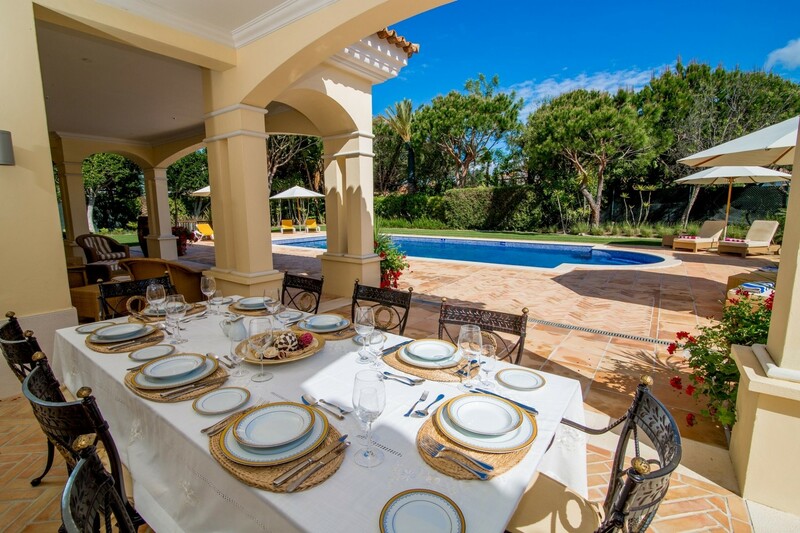 This villa offers a spacious and luxurious setting equipped to a high standard, including whirlpool, air conditioning and a very large swimming pool. 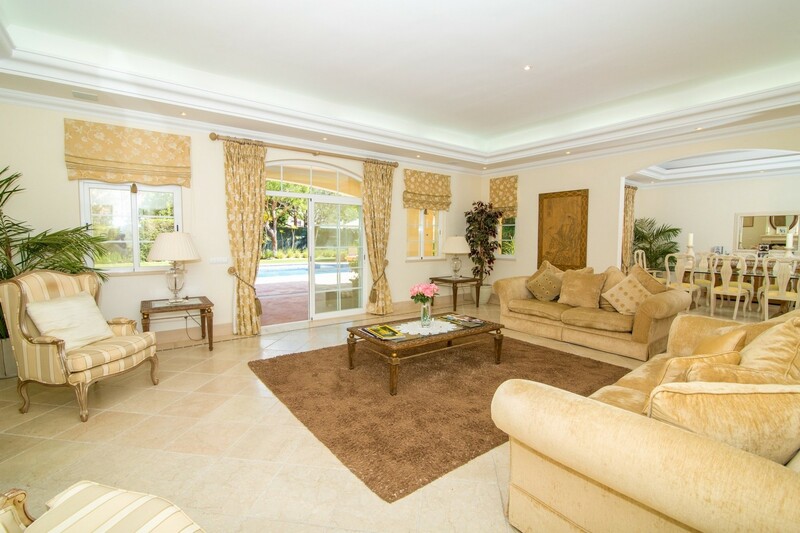 Located within the prestigious resort of Quinta do Lago in the Parque Atlântico area. A short walk to Ria Formosa or the Atlantic beach, exclusive restaurants and world famous golf courses. 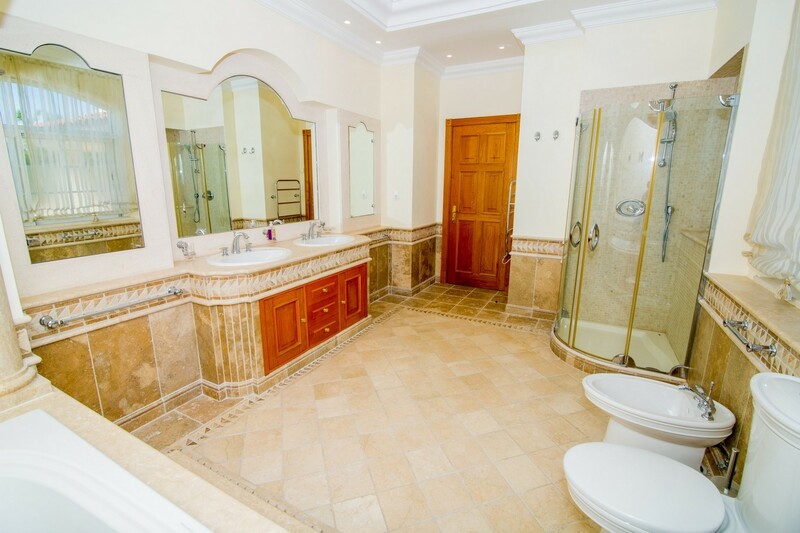 Outside there is a whirlpool and a large swimming pool (15mx7m), which can be heated upon request. There are also landscaped gardens, an automatic irrigation system and lighting, electronic entrance gates, a calçada driveway and fitted gas BBQ. From the entrance hall you will find a guest bathroom, kitchen and a utility room which matches the kitchen and has access to a rear courtyard area. 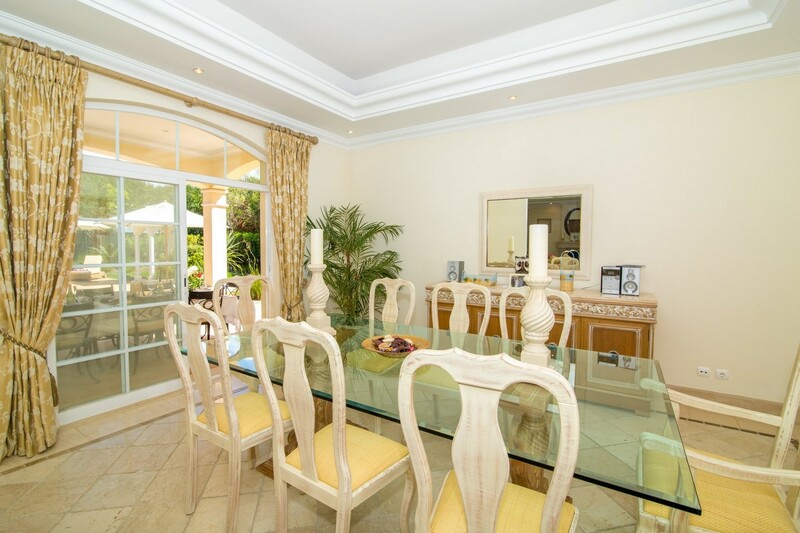 The kitchen opens into a large family dining room which in turn, opens into a very large family living room. 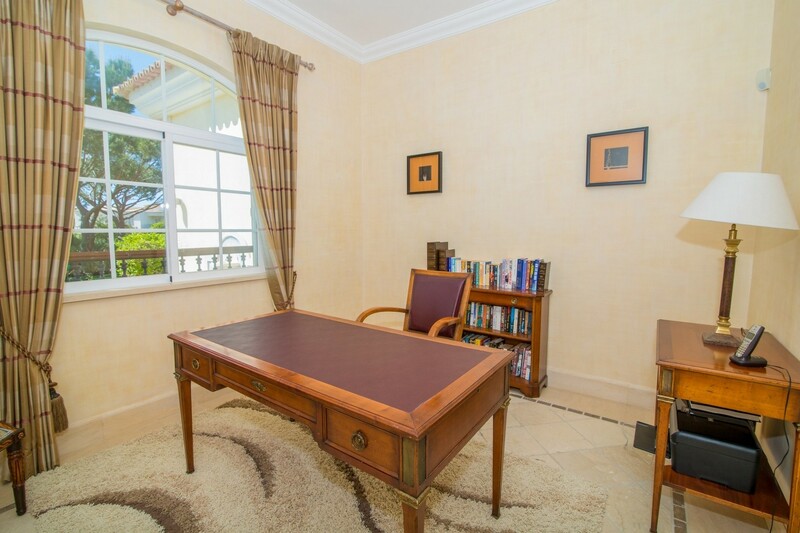 There is also a fully fitted and equipped TV room with a separate study. 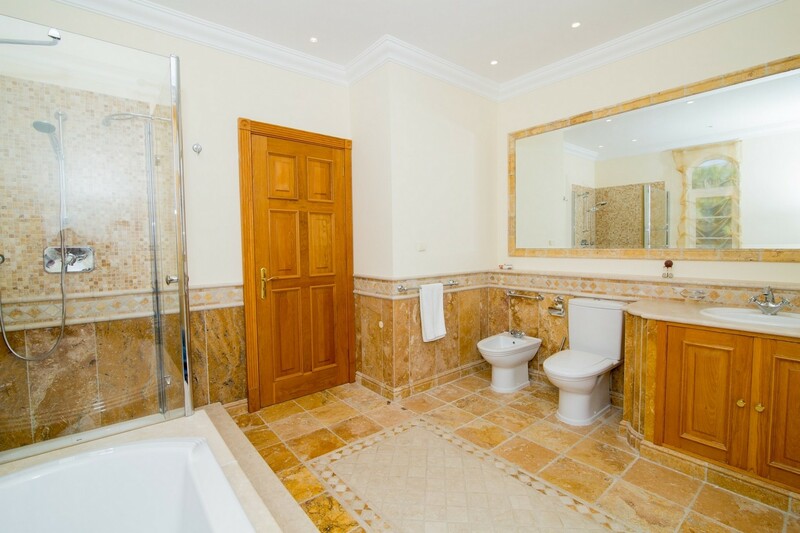 The hall floor contains two en-suite bedrooms. One twin and one double. 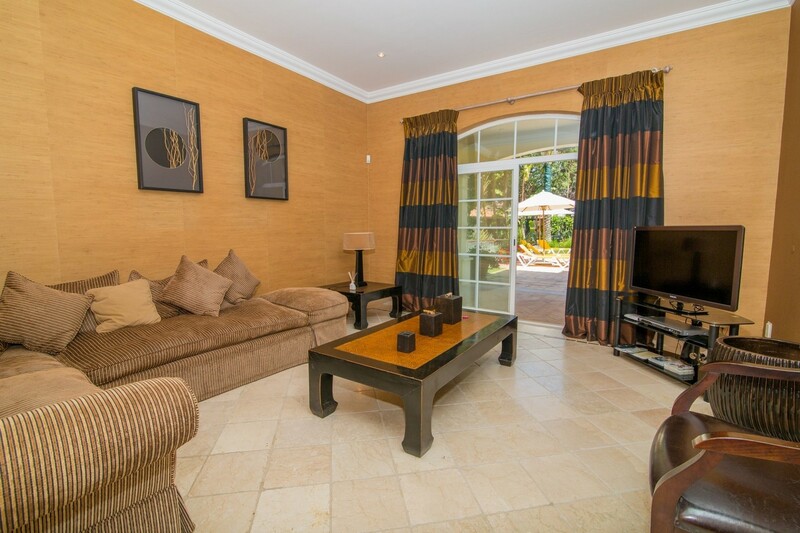 There are double sliding doors from all hall floor rooms to the back of the villa which leads onto a large patio. A wide sweeping stair case leads to three double bedrooms on the first floor, each of which has access to upstairs balconies. 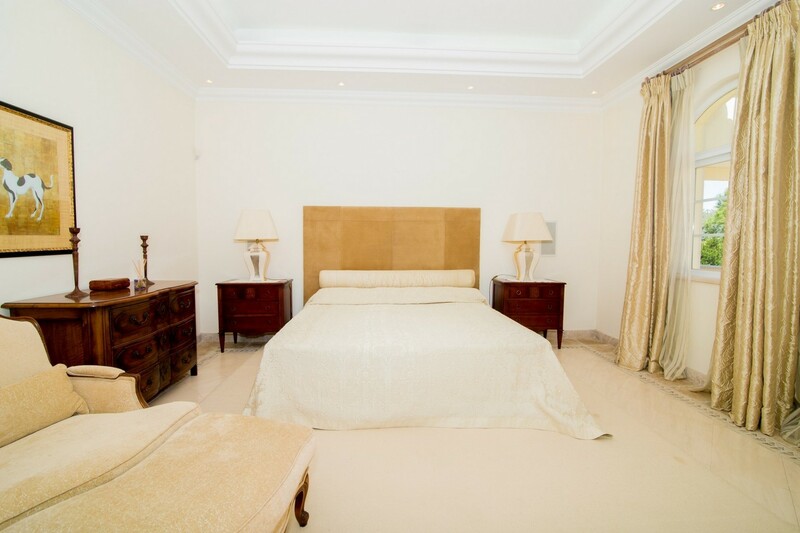 The double master en-suite bedroom has walk-in wardrobes and a bathroom with a jacuzzi. 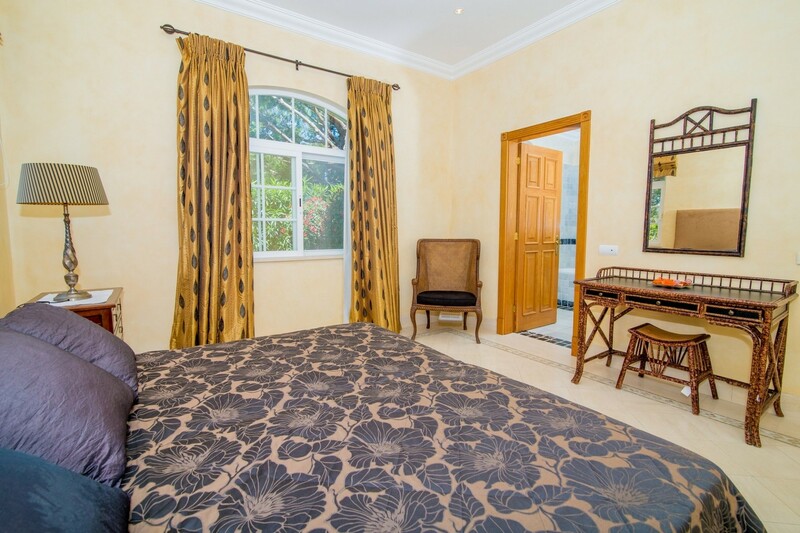 The fourth bedroom is also double and has access to a large rear balcony facing towards the mountains and a front balcony facing towards the ocean. 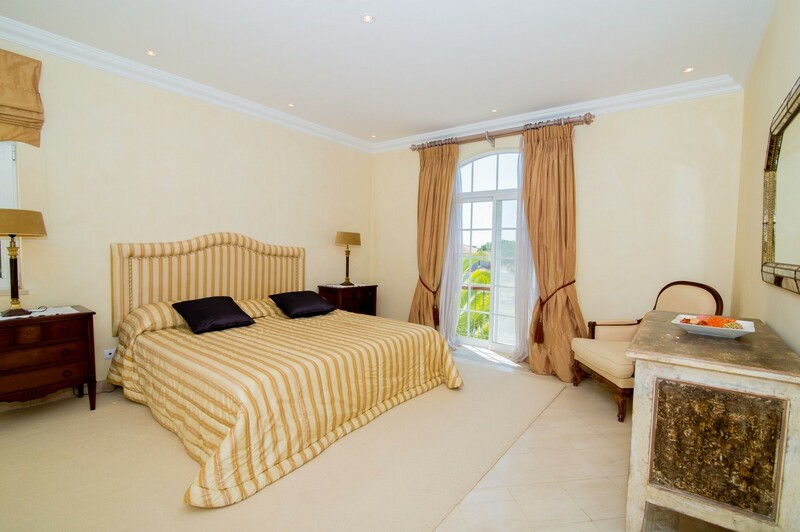 The fifth double en-suite bedroom also has a balcony which faces towards the sea. 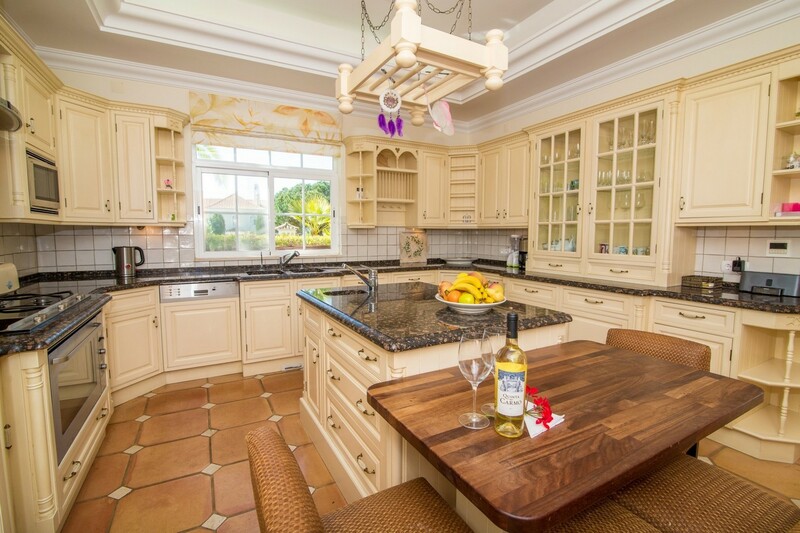 The kitchen is fully equipped with a fridge/freezer, hob/stove and microwave. Maid service is five days per week (except bank holidays).